Bring your appetite to Geisha, where our experienced team of chefs will satisfy your hunger with masterfully prepared authentic Japanese cuisine. 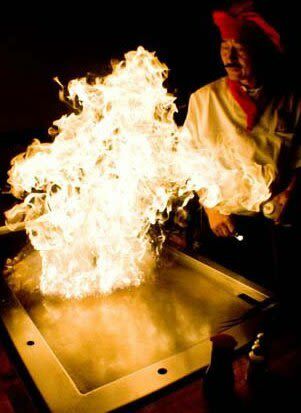 Using only the freshest ingredients, your meal will be prepared "Hibachi-style" at your table in front of you. 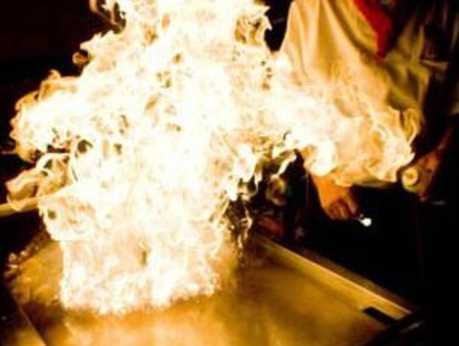 While the flash flames cook your food to perfection, there will be lots of fun and laughter as our chefs will entertain you with their unique antics and sense of humor. We serve only the finest chicken, seafood, and steaks for our patrons to enjoy. The sushi bar is our specialty where we have a variety of sushi and sashimi to choose from. Your family can expect friendly hostesses and knowledgeable waiters to attend to your every need as you dine in our bistro atmosphere.